The largest PICAXE microcontroller in the enhanced X2 range. Ideal in hobbyist projects due to its powerful features and extensive i/o capabilities, but also suitable for more advanced educational use. This is the universal voltage version 40X2 chip (based on the PIC18F45K22). The 40X2 supports up to 33 inputs/outputs with 27 analogue/touch sensor channels with an operating speed up to 16MHz using an internal oscillator and up to 64MHz using an external resonator or crystal. 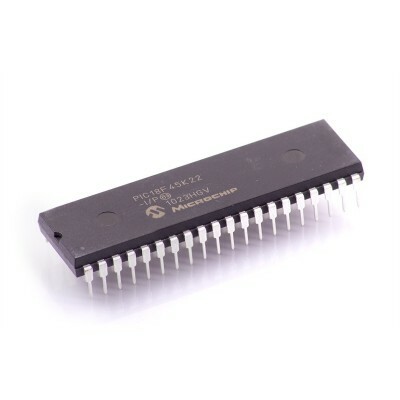 This chip supports 4 internal and up to 32 external program slots, is capable of acting as an i2c slave device and comes in an industry standard 0.6" wide, 40-pin package. All X2 series parts support enhanced features such as configurable i/o pins, ring tone music and touch sensor inputs, i2c, spi and high-speed serial with background receive. Scratchpad memory plus separate Data EEPROM and Data Table are supported. Click here for more X2 series information. 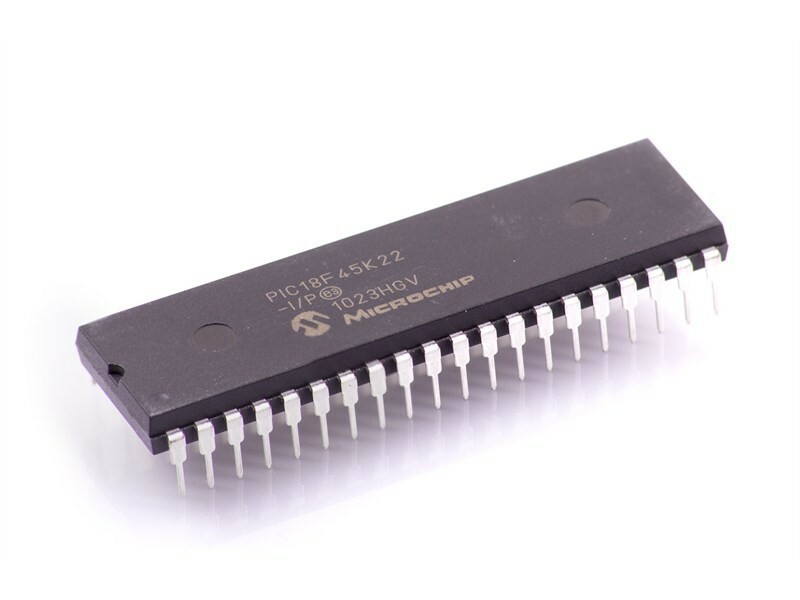 The PICAXE-40X2 replaces the older PICAXE-40X, 40X1, 40X2-5V (PIC18F4520) and 40X2-3V (PIC18F45K20) chips.